August update - We continue to grow! 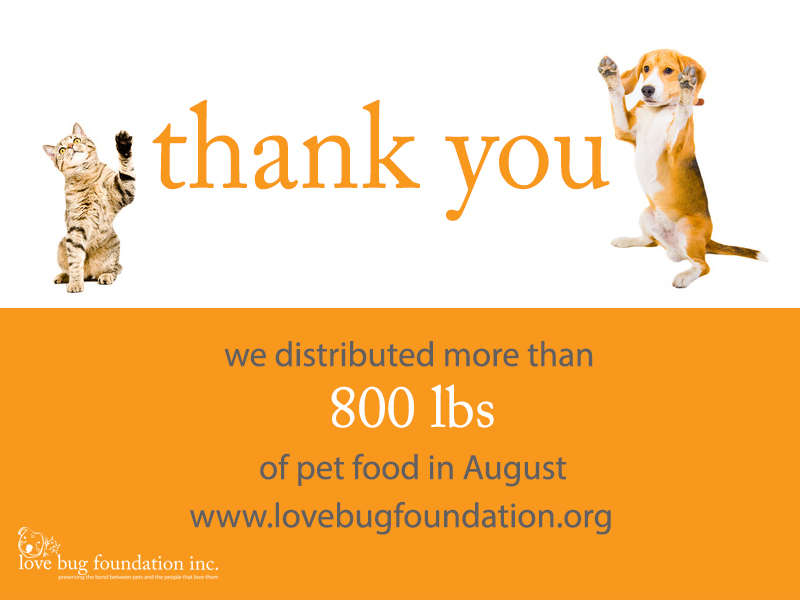 | love bug foundation inc.
August update - We continue to grow! A huge thank you to all of our supporters who continue to empower us to make a difference in our communities. First, we continue to receive a steady stream of donations from our friends at the Fayette County Clerk of Courts office. Without their continued support it would be nearly impossible to distribute the required volume of food each month. Second, we are grateful for various businesses and legal system representatives for their efforts to raise food for our cause. Heritage Bank is hosting a pet food drive at all of their branch locations during the months of August, September and October. The Clayton County District Attorney, Tracy Graham Lawson, is featuring our organization for a couple of months as well and pet food donations are coming in. Finally, we had our new Board member join, Judge Aaron B. Mason, who will help guide us in our mission. This has been an exceptional month and we could not have done it without the support, guidance and generosity of our friends, family and members of the community. 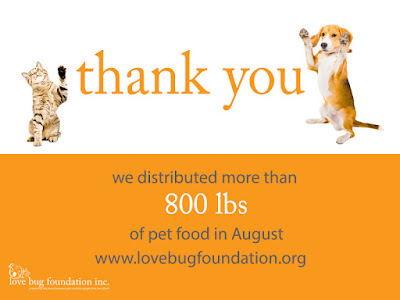 Because of you we were able to donate more than 800 lbs of pet food this month! September 4 is the deadline to apply for our September food distribution. Applicants should call or email to renew/submit their applications. Sam's Club members - Are you a member of Sam's Club? If so, and if you're willing to donate a bag of food, we could really use bags of the Sam's brand dog food. The cost is $19.98 for a 55lb bag of food. This is the cheapest price we've found and one bag enables us to feed multiple dogs per month.